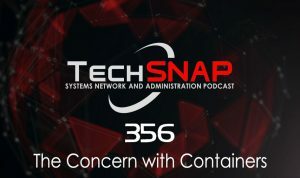 The problems containers can’t solve, nasty security flaws in Skype and Telegram & Cisco discovers they have a bigger issue on their hands then first realized. Plus the latest jaw-dropping techniques to extract data from air-gapped systems. A vulnerability in the XML parser of Cisco Adaptive Security Appliance (ASA) Software could allow an unauthenticated, remote attacker to cause a reload of the affected system or to remotely execute code. We focus so often on technical anti-patterns, neglecting similar problems inside our social structures. Spoiler alert: the solutions to many difficulties that seem technical can be found by examining our interactions with others. Let’s talk about five things you’ll want to know when working with those pesky creatures known as humans. Our method is based on an exploitation of the magnetic field generated by the computer’s CPU. Unlike electromagnetic radiation (EMR), low frequency magnetic radiation propagates through the air, penetrating metal shielding such as Faraday cages (e.g., compass still works inside Faraday cages).